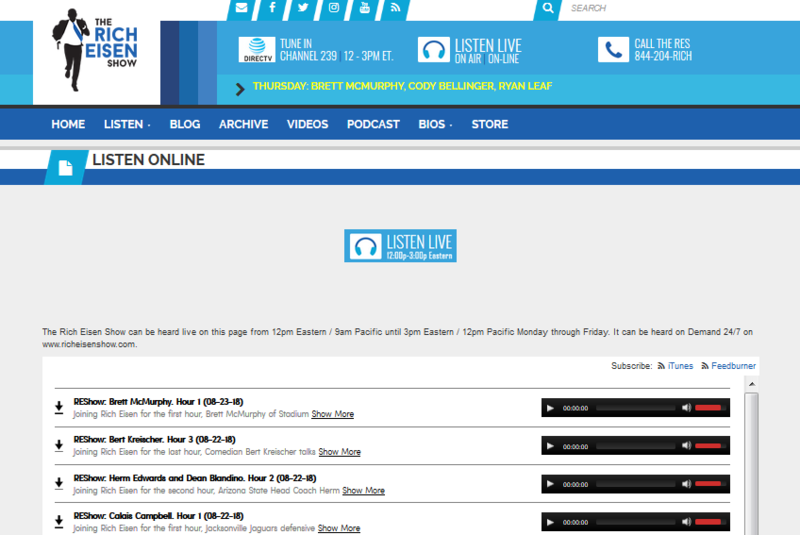 It’s hard to beat the on-demand convenience of podcasts. 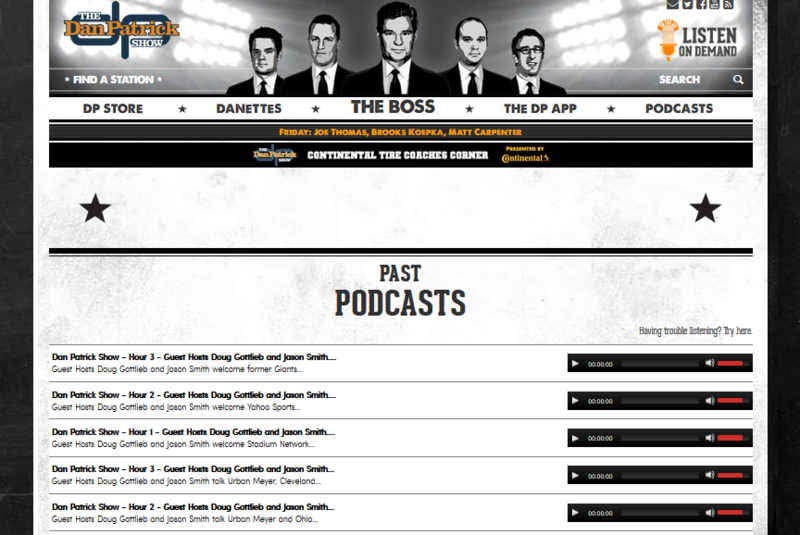 Podcasts are a great source of news and entertainment for journalists and consumers. 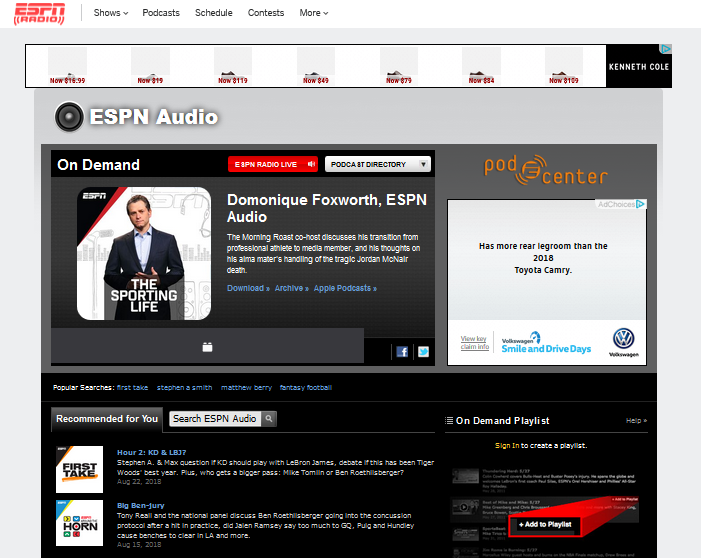 Sports podcasts cover a variety of sports or focus on one particular sport. Topics can vary, from politics in sports to fantasy leagues and betting. 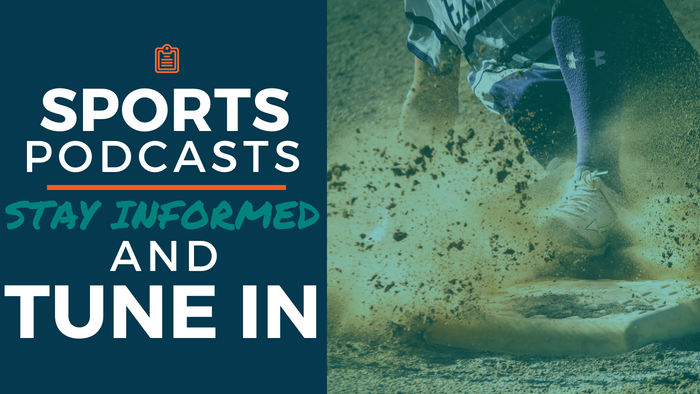 Here are 10 sports podcasts that we believe are worth a listen. Dan Patrick, the former ESPN anchor, is one of the most respected sports journalists. His conversations with athletes and journalists have an organic, non-scripted feel to them. Patrick has a way of revealing interesting facts and personality traits of the various subjects he interviews. Like Dan Patrick, Rich Eisen is a former ESPN anchor and well-respected veteran sports journalist. Eisen is known as “Mr. 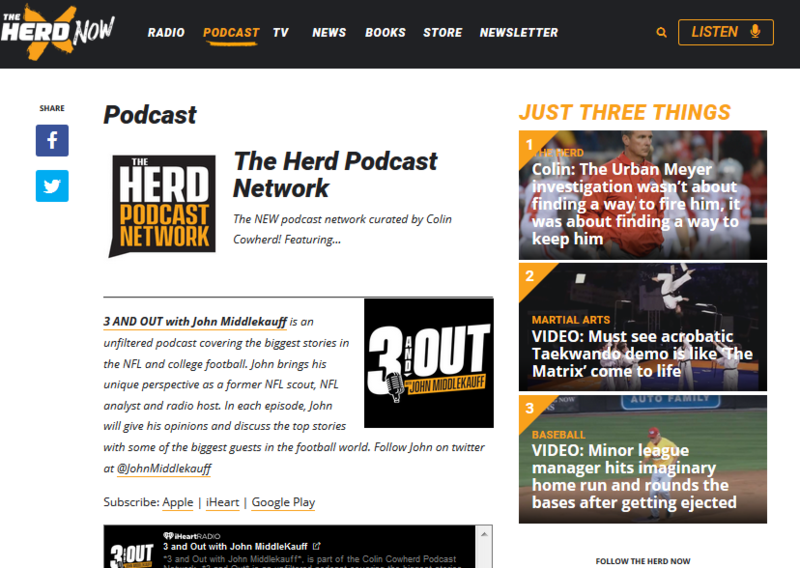 NFL Network,” and his podcast focuses on football, but covers other sports as well. 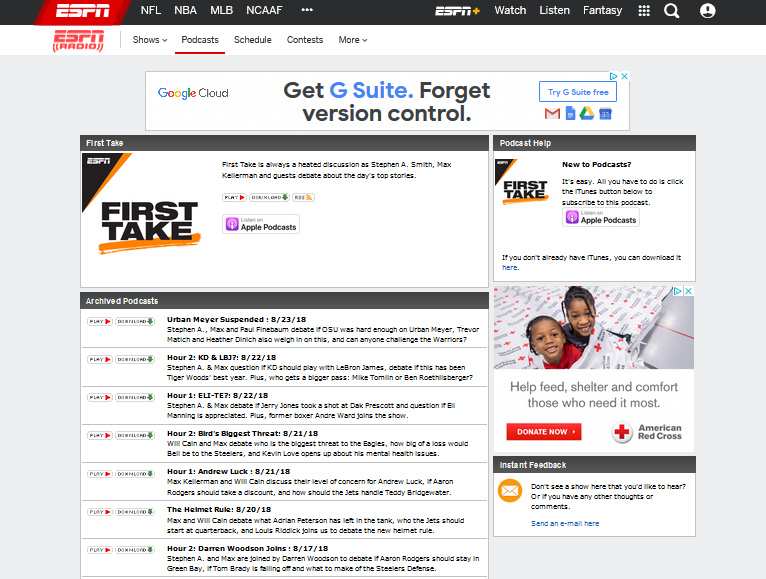 The always animated Stephen A. Smith co-hosts First Take with Max Kellerman. Smith isn’t afraid to voice his strong opinions and often finds himself in heated debates with Kellerman. While these debates do get contentious, they don’t hold up to the banter between Smith and his previous co-host, Skip Bayless. 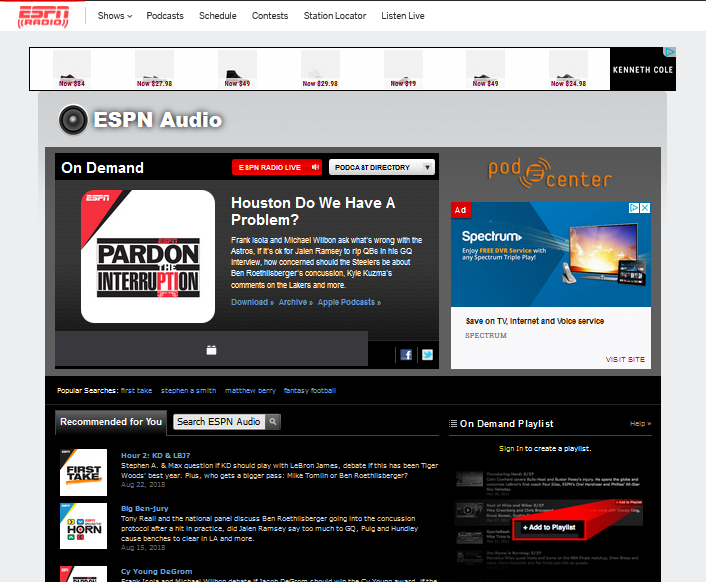 Veteran journalists Tony Kornheiser and Michael Wilbon co-host a fast-paced podcast that covers a wide variety of sports. They try to cover as many topics as possible and a bell chime indicates it’s time to change subjects. The Sporting Life is hosted by Jeremy Schaap. It focuses on feature stories more than current events or breaking news. The coverage is well-rounded, focusing on all sports, not just the mainstream money makers. People take fantasy football very seriously. Matthew Berry is one of the most respected fantasy football experts in the industry. He hosts an entertaining fantasy football podcast with Field Yates and Stephania Bell. Colin Cowherd is an experienced, opinionated radio personality. He has a wealth of knowledge on a wide variety of sports, having been on the radio for the last 25 years. His show covers the top sports events and news, with a focus on football and basketball. Mike Golic and Mike Greenberg’s Mike and Mike was on the air for 18 years before calling it quits in 2017. Golic, an eight-year NFL veteran, has since partnered with Trey Wingo, a longtime ESPN personality. The show has a very similar feel to Mike and Mike without the comical banter between Golic and Greenberg. 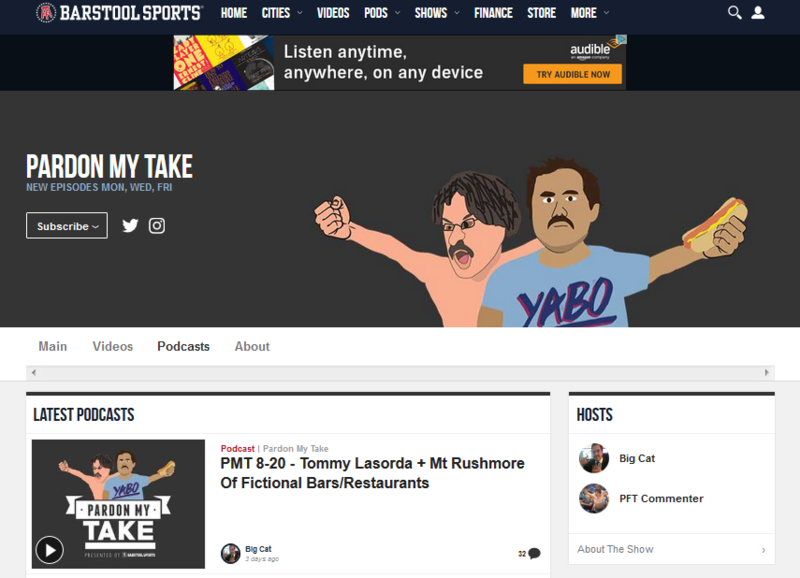 Barstool Sports’ Big Cat and PFT Commenter co-host a unique podcast covering current sporting news and upcoming events. 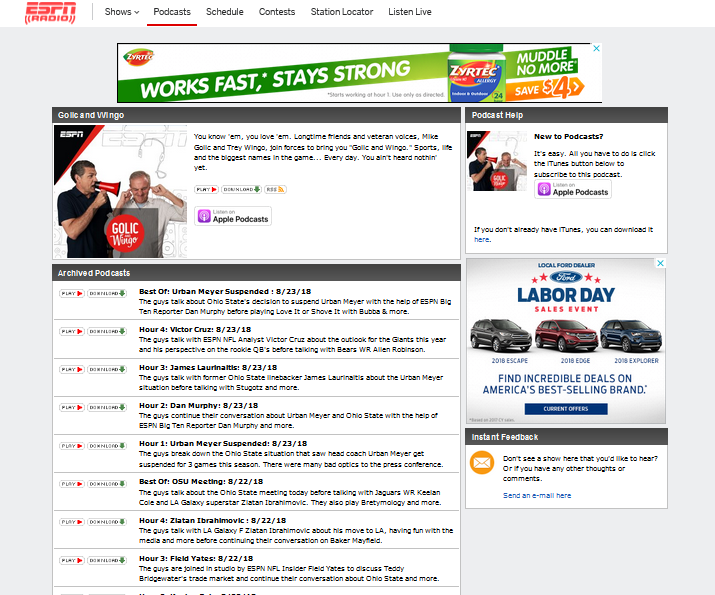 The content fits in line with what you’d expect from Barstool Sports — a lot of satire with a sprinkling of mature language. 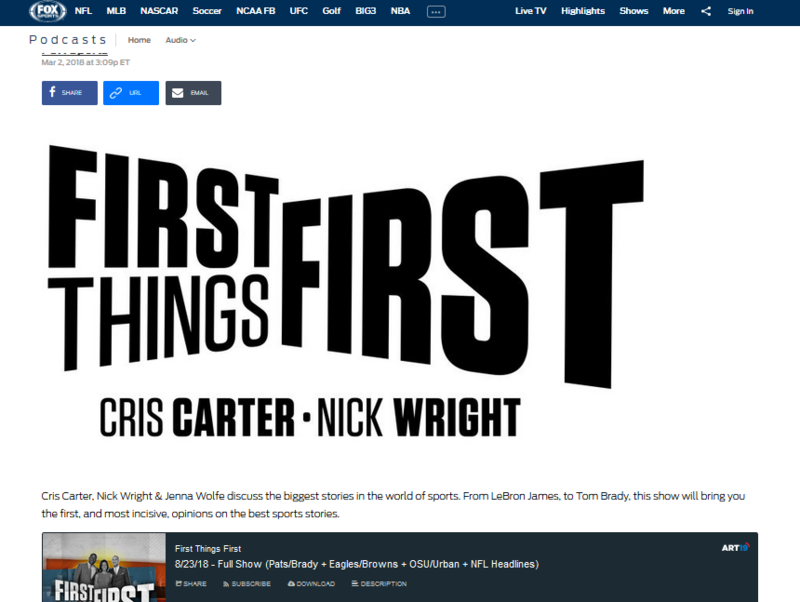 Former NFL wide receiver Cris Carter co-hosts First Things First with Nick Wright and Jenna Wolfe. 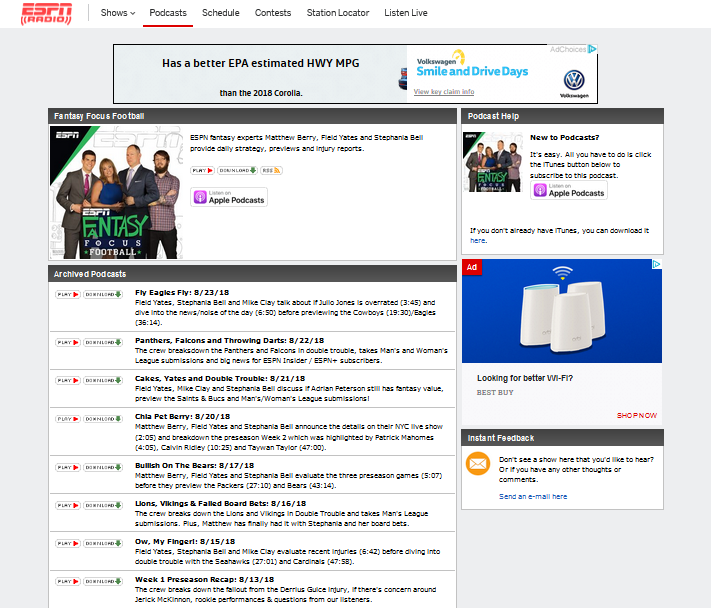 Like Golic and Wingo, the show offers listeners unique perspectives as told by a former professional athlete and professional journalists. ← Want more online ad revenue? A new AP report tells publishers how to capture digital dollars.